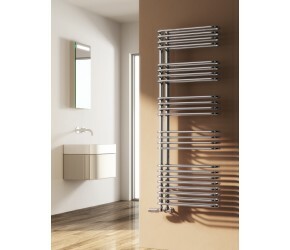 The Reina Borgo design features and open end which is perfect for easily sliding towels on and off of the towel rail. The Borgo is available in both 814mm and 1300mm high. With 50mm pipe centres you can either use standard valves with these towel rails, or pair it up with a twin valve.